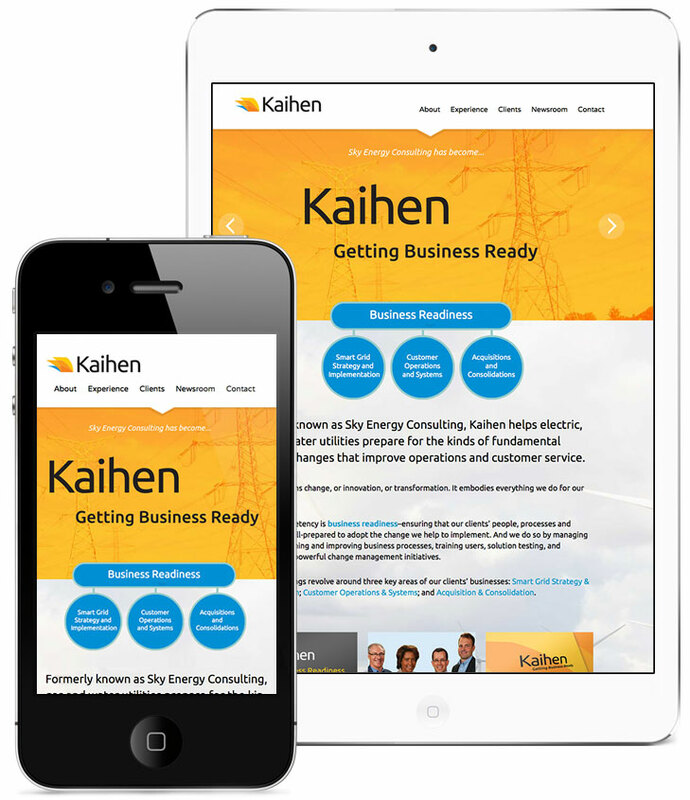 Kaihen Consulting came to us with a challenge – to rebrand their company from top to bottom. And that’s just what we did. Through an extensive hands-on process we collaborated with our creative directors, designers, copywriters and programmers to build an entirely new presence. Sky Energy worked with major utilities to shape fundamental business changes that improve operations and customer service. That was the foundation for renaming them to Kaihen, which means transformation and change. Based on their business philosophy we centred the services on Getting Business Ready which became their tagline. We created an iconic logo identity that reflects change/progress/metamorphosis and build a colour scheme that is vibrant and powerful. Using that as a visual starting point we built out their brand including stationery, document templates and a website. The website design has a large, bold, modern interface and a user experience that is fresh and reflects on their forward thinking. Everything is fully responsive for different devices and orientations. We designed the site as a responsive WordPress website and the display is optimized to for different devices from desktops to tablets to phones.